The world is full of odd ball characters who make life just a little more interesting. You are bound to run into many such people during the course of your lifetime. These run-ins can happen anywhere and anytime, this is what makes it most interesting. It can happen to you when you least expect it. You would think that one place this can’t happen is when you are on the road, because people are too busy riding or driving around, but you are wrong. 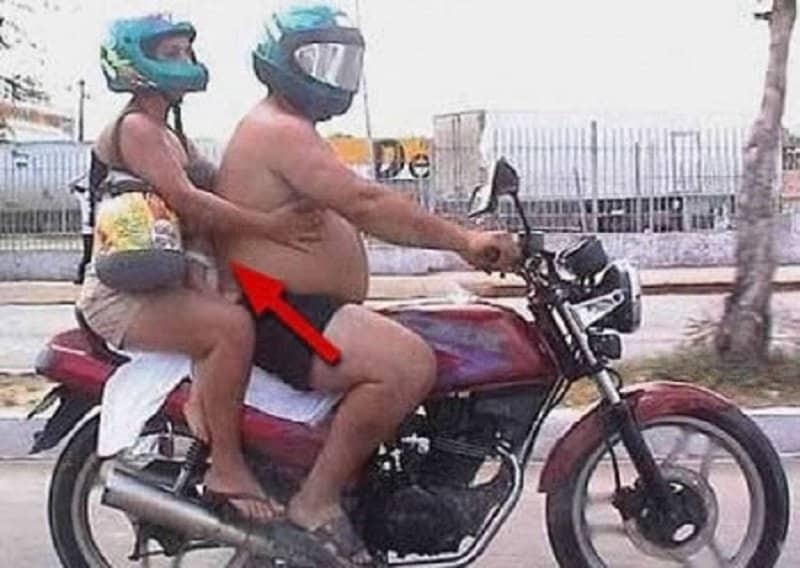 Here is a list of 10 hilarious pictures taken of people on motorbikes. The man and woman in this picture are protecting themselves using helmets. The baby is protected by being tightly squeezed between them. I just hope that man’s back isn’t too sweaty. This really cool biker chick has an even cooler bike. Her pulling on the imaginary G-string makes everything a lot sexier. It must be nice to ride a bike while pretending you are in a car. It gives you the best of both worlds. 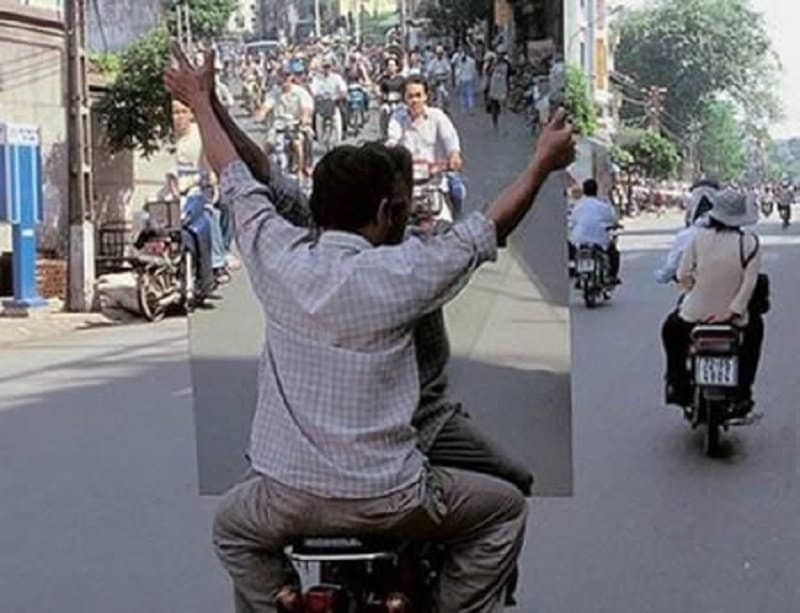 It is always a good idea to use your rear view mirror while operating a motorbike. It is a bad idea to use one that is much larger than you. This is one of those optical illusions. 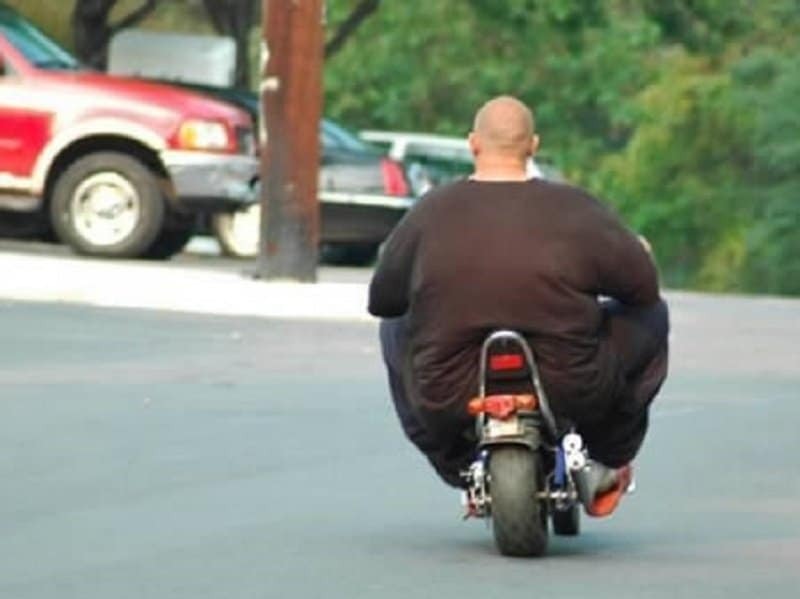 Can you tell if the person is too big or if the bike is too small? 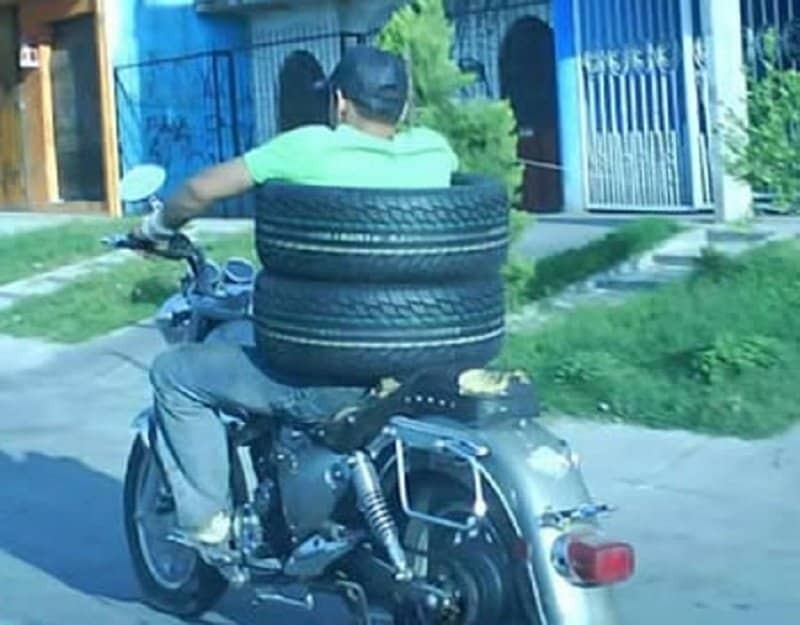 I know it is a good idea to always have some spare tires handy when you are riding a bike, but this is ridiculous! Most people take the bus to school. 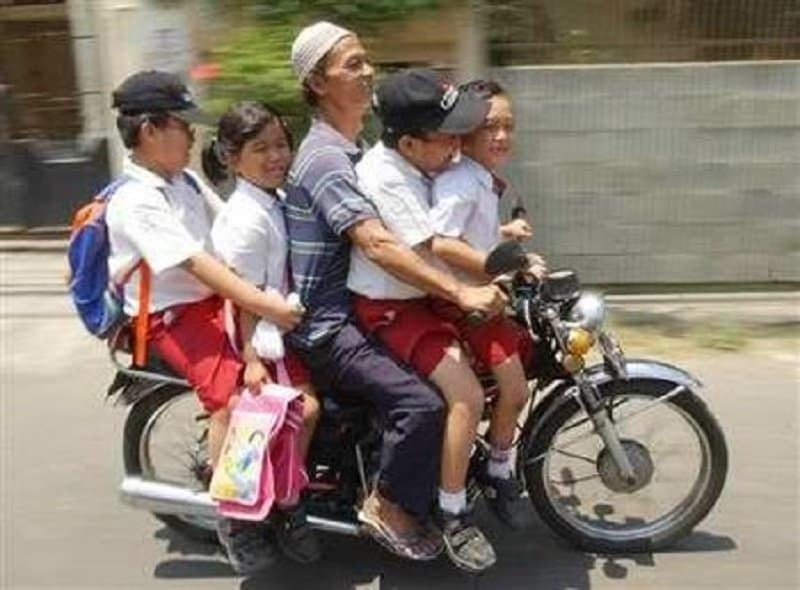 These poor kids have to settle for one maniac who thinks carrying four kids on a bike is safe. 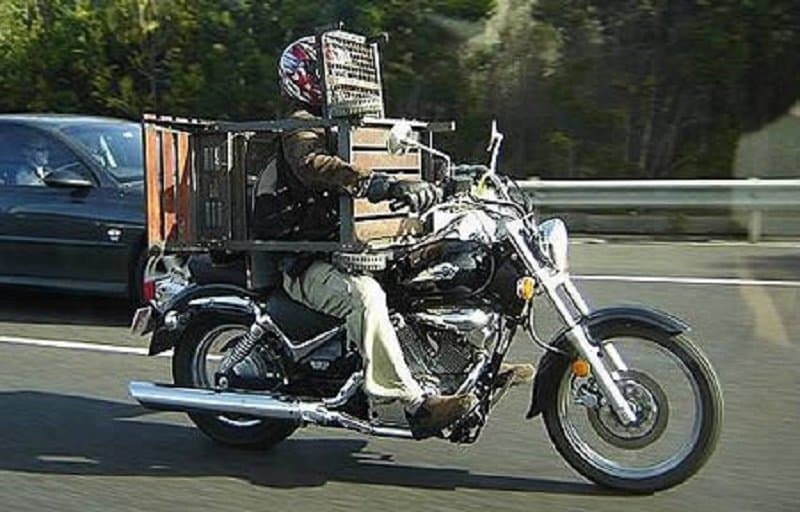 This man decided to carry all that he could on his bike. The only way he could fit a extra table was resting it up against his own face! 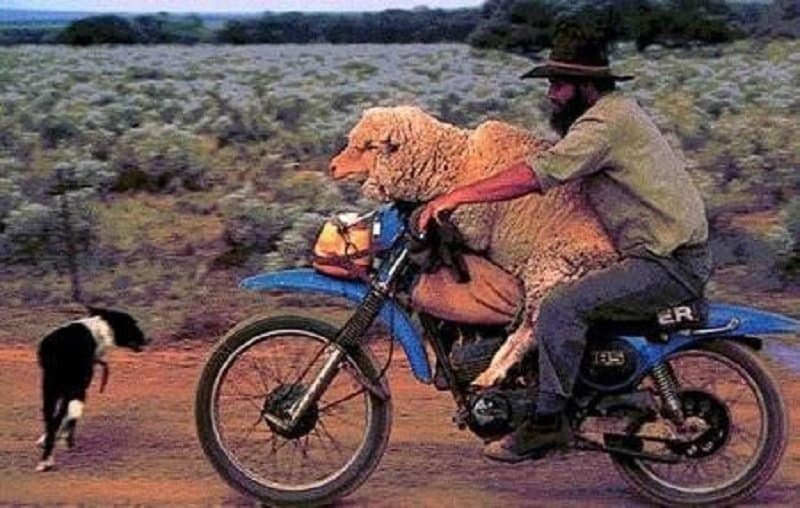 I would have felt a lot better about this situation if the sheep had a helmet on. 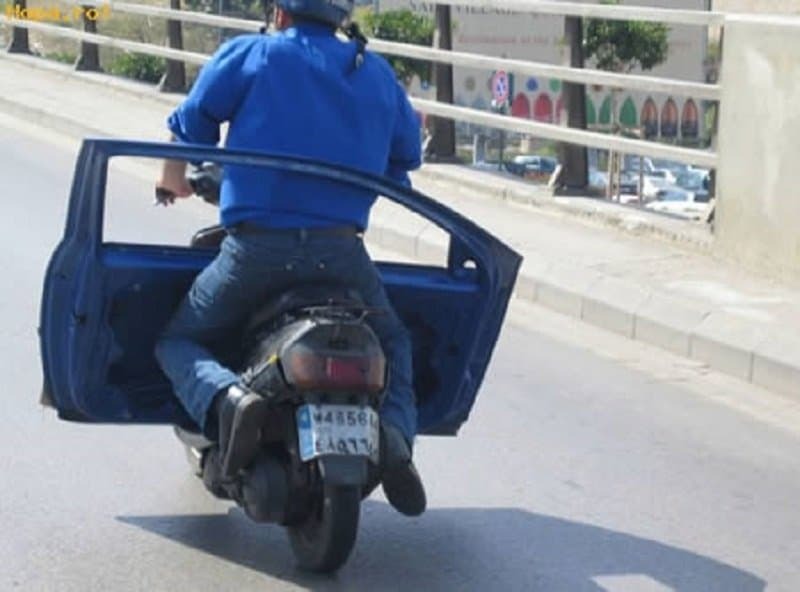 This is just unsafe for the poor fella. I wonder why the cops decided to pull these folks over? Is it because the lady isn’t wearing any pants!